The mischievous Monkey King is a traditional character in Chinese mythology and is beloved by many as the trickster, much like the coyote of Native American Indian mythology. 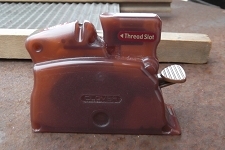 Our mask measures 7 inches from side to side and 10-1/2 from top to bottom. You might have to replace the elastic because it seems a bit flimsy (although we've not seen any break yet! 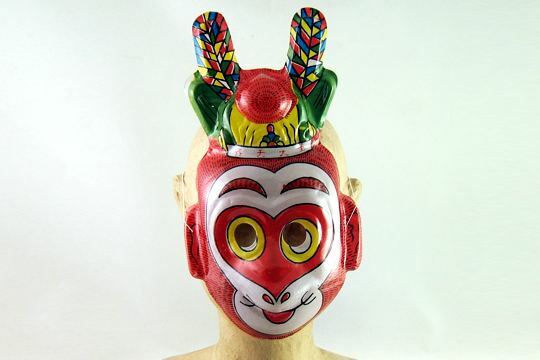 This funny Monkey King mask is made of soft, but rigid molded plastic and holds its shape well.